All Minnesotans deserve access to fresh, affordable, local foods. 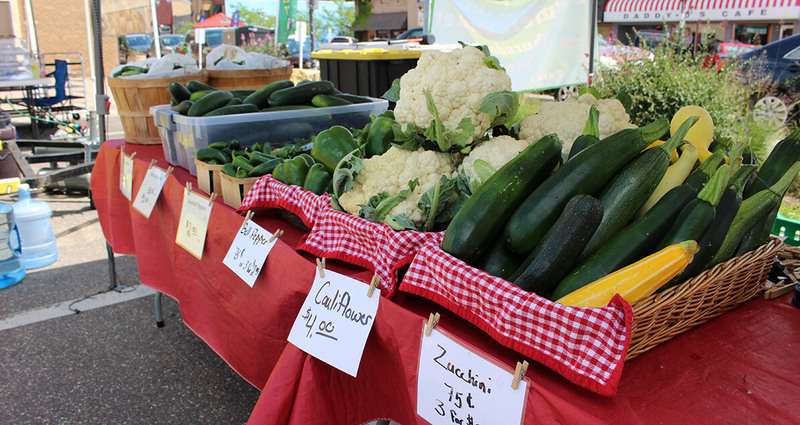 Market Bucks make local foods accessible to low-income Minnesotans by matching SNAP spending at farmers markets. Despite the tremendous health and economic benefits, HF 2751 puts the program under threat of elimination in the House State Government Finance Division. Market Bucks is an incredibly successful, nationally recognized program. During the summer of 2018, farmers markets reported that customers spent $346,055 in Market Bucks and SNAP benefits at 99 market locations around the state. We know that Market Bucks are a win-win-win for Minnesota. Customers win by being able to stretch their buying power at farmers markets – making fresh, local food more affordable for low-income residents. Farmers win because Market Bucks bring them new customers that would normally not be able to shop at the farmers market. And communities win because research shows that every dollar of SNAP creates $1.79 in economic activity in the community. Contact members of the State Government Finance Division today and let them know Market Bucks are too important to cut! Use our action alert tool to see if your lawmaker is on the committee and send them a message! If your lawmaker isn’t on the committee, contact the Chair and let him know you oppose cutting Market Bucks.